Those who know about rodeos thought it was awesome that Mads got to experience a REAL LIVE ONE last week.... Those who don't know anything about rodeos have wondered what the big deal is.... so here is a little taste of what Mads discovered at his real TEXAS RODEO! In case you didn't know, RODEOING is an actual sport----where cowboys (and cowgirls, too!) compete in various events throughout their region, trying to earn points. These points are accumulated throughout the rodeo season and then the top performers are eligible to compete at the national level.... for LARGE AMOUNTS of Money and REALLY BIG BELT BUCKLES! And the most interesting part is that these events are just like the ACTUAL WORK that these cowboys (and cowgirls, too!) do on a daily basis on their ranches. There was STEER WRESTLING and SADDLE BRONC RIDING, plus TIE DOWN ROPING and even an event for the kids called "Mutton Bustin" where these TINY kiddoes (aged 3-6) got the chance to try and ride a sheep! I was too busy cracking up to remember to video these! In fact, the greatest line said all night was, "You can go to jail for spanking your kid in Wal-mart, but what you are about to see here is perfectly legal!" And then these little tykes came out, wearing helmets, and clinging to a sheep's wool with all their might! But the best part of the night (other than watching my Viking's face during each event) was seeing all the FAMILIES in attendance. 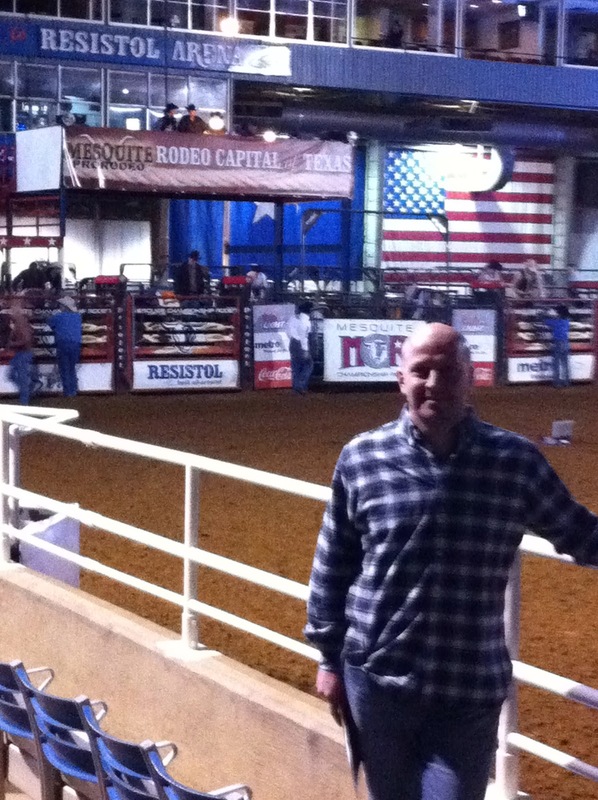 I have been to many rodeos in my lifetime and every time it is the same.... FAMILIES gathered together enjoying the night.... And I feel so lucky that our family got to experience this night together! 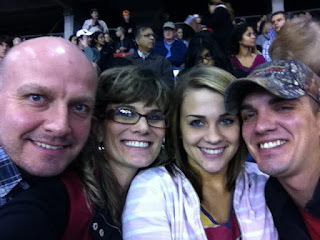 I remember taking _my_ Dane/dame to the Colorado State Fair and Rodeo back when we were young and carefree. It was my first rodeo as well although I think I had more idea of what to expect than she did. In fact the whole State Fair experience was a great introduction to a part of American life that I didn't get much exposure to in the People's Republic of Boulder - from the church-organised parking to the pig-racing and tractor-show. Those rednecks can be pretty crazy, but I have to admit they know how to put on a good show. Bull riding has got to be one of the most extreme sports on the planet. Does Mads say y'all with an accent, yet? 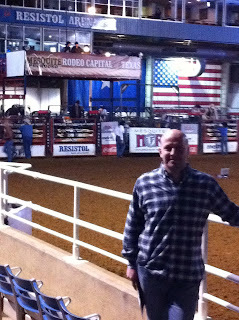 I've been to a Western Canadian rodeo, although it is probably not as legit as a Texan one. Watching the young cowboys and cowgirls is the best part.